During this audiovisual tour you will learn more about the Iberico ham and what makes it so special. You will be surprised what methods of presentation are used to give you a real insight of the life of an Iberico pig. As an end of the presentation you will be able to try 6 different kinds of ham, of course cut by hand. A selected variety of Cava, beer and wine are served with the ham. 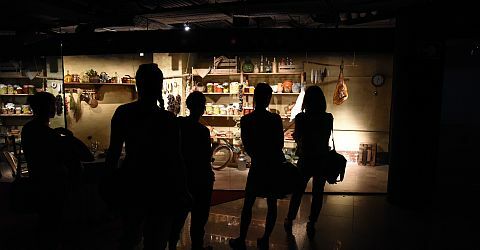 In the end, you will have the chance to buy the before tested ham and Cava at the store "La Tienda de Jamón"
Opened daily from 12:00 until 20:00, the Jamon Experience takes place every 60 minutes. A free cancellation is possible up to 48 hours before the event. There are NO cancellation or handling fees, you will receive a full refund. There will be no refund in case of a later cancellation. A cancellation is really easy: you simply have to send an e-mail stating your booking code.